+I got to meet 2 new blogger friends on Saturday! I went to a big craft show with a girlfriend on Saturday (found a shirt I had been lusting after!) and finally got to meet Jacqueline, the owner of the shop Nora and Jac, which I've mentioned a few times on here! 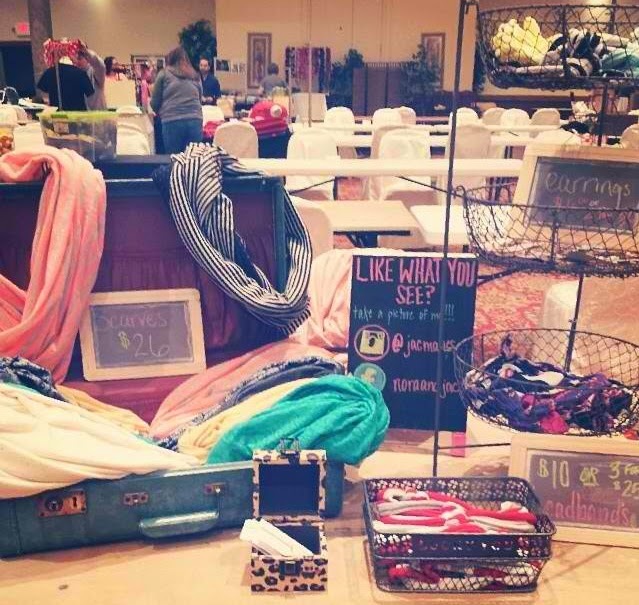 She has the softest infinity scarves out there and some awesome headbands for spring and summer. Not to mention, she's as cute as can be! Also, I got to meet another reader named Erin who doesn't have a blog but came up and introduced herself and I was so happy she did (hi pretty Erin girl-if you're reading!) So, so fun. +That shirt I found at the craft show? "Coffee keeps me going until it's acceptable to drink wine" Have you seen anything better?! I mean, besides the Wifey shirt right next to it. The wifey shirt is from here and is only $25, which is the best price I've found for it and trust me I've been looking around!! It's so soft too (I got a small). I will probably do an outfit post with this shirt soon! 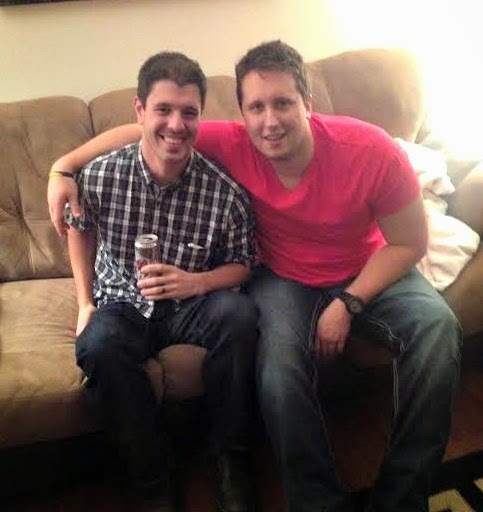 +We went over to my best friend Lindsay and her brother's place on Friday to watch the basketball games. A big dance party went down like we were back in college again (sorry-not pictured ;)) and we had so much fun! +I got my new Lilly and Laura bracelets in! They are hard to find but I actually found them on 9th and Elm-the sale ends in 2 days though so hurry up if you're interested. Each bracelet is handmade by a woman in Nepal and some of the proceeds go to the women and their families. I love how fun they are and all the different designs..I'm sure I'll be ordering more at some point! +The fact that the weekend is over (not something to normally wish away BUT) which means I head to Texas in 3 days. 3 days, people. SO excited! +Did I mention that bag?! What were the best parts of your weekend? I've been wanting a 'wifey' shirt too!! Cute! Gorgeous purse. Also loving the arm candy. And thanks to you, my checking account is now $30 lower this morning.. . ;) Thanks for the tip though! Have so much fun in Texas! That bag is gorgeous!!! So glad you had such a great weekend. I'm definitely going to be looking into those bracelets. They are adorable and I love that they are for a good cause! Hope you have an amazing time in Texas!!!! I need that purse and that bag. Oh, and the Wifey shirt. I'll take it all! Great new purse added to your collection!! I love the wifey T - i've been seeing variations of it a lot of places - will have to scoop one up soon! Sounds like a great weekend! Happy Monday! 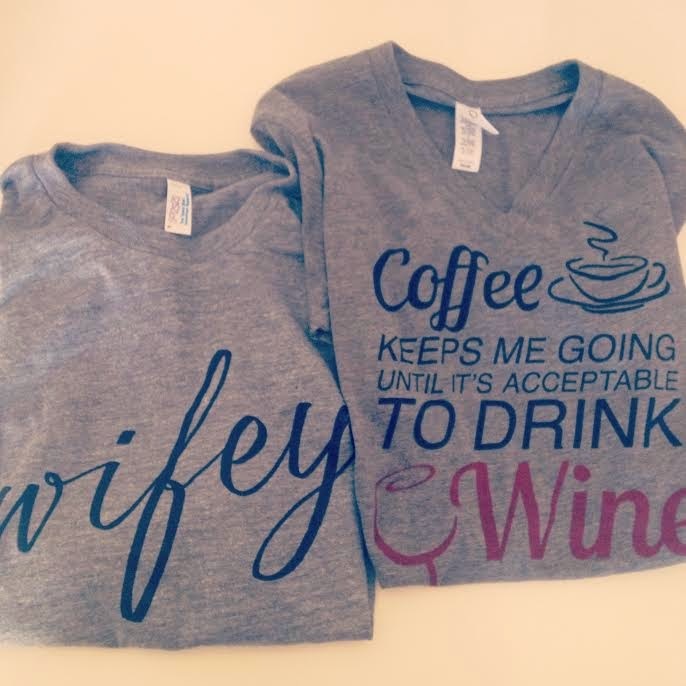 Oh my goodness I love the coffee/wine shirt! Totally explains my relationship with both coffee and wine! Sounds like a great weekend. I adore that wifey shirt and would love to see how yo would style it. I have a growing collection of Lilly and Laura bracelets. They are so cute and easy to stack! 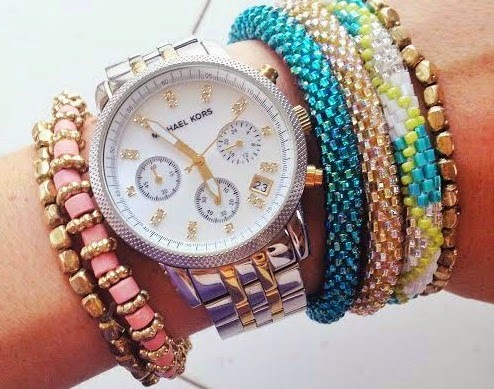 Between that bag and those adorable bracelets you are all set for Spring! You can bet come next April I’ll be wearing that cute wifey shirt. Love it (and the handbag of course)! That bag is swoon worthy! Those Tshirts and bracelets are pretty cute too! Love your style! 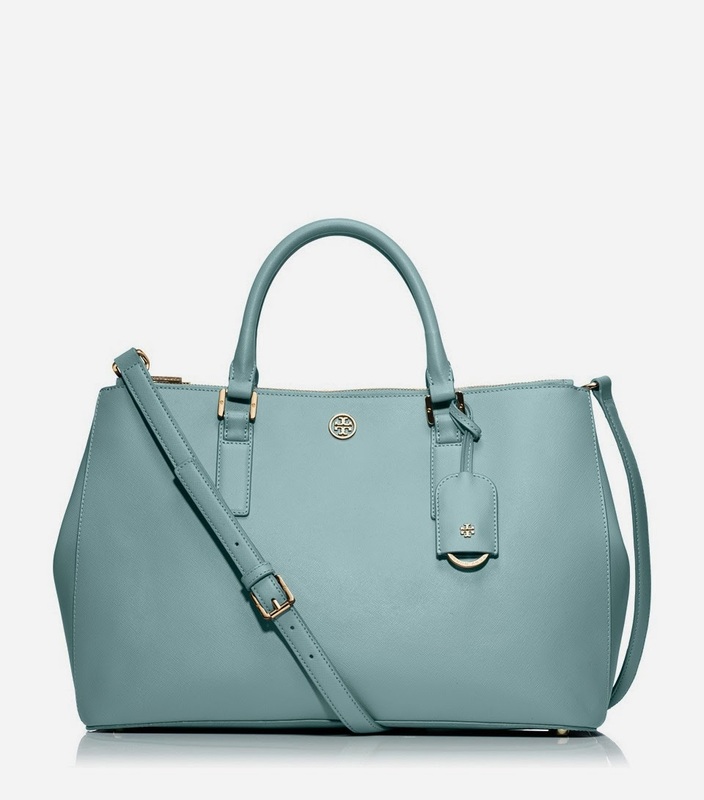 That Tory bag is so gorgeous!!!! I'm dying for a pair of her sandals...if only I could get over the price tag :).